The Siam Paragon is an interesting place to visit even if you’re not actually into shopping. 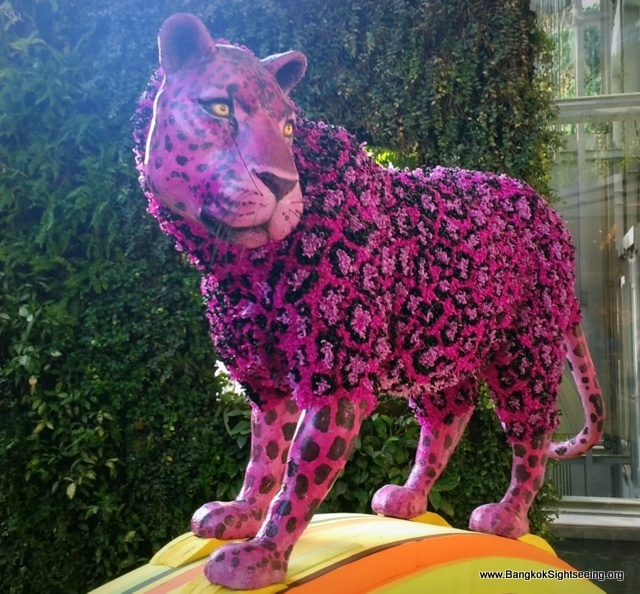 They often feature creative works of local Thai artists, like this leopard who’s fur is made from colored rubber bands. There are other animals as well, but you gotta visit the place yourself to see them. However, this one is our favorite. Previous post: Bangkok Theatre: if you think Bangkok’s nightlife is racy and raucous, just see what 17th Century London had to offer!